A book that's been on my to be read shelf for over two years has finally been picked up because I was going to Luxembourg! Yes, that sounds weird right? Let me explain: what do you do on a 2 hour and 45 minute drive that became a 5 hour drive because of traffic jams? You listen to an Audiobook because you can't read while driving without getting sick. So that's exactly what I did: I picked up the Audiobook: Hopeless by Colleen Hoover and listened for the entire drive to Luxembourg and back. My third book by this author and I have to say I'm not disappointed. Being a book that's been on my to be read shelf for so long, I have to say it was even more surprising as I had first thought it would be. I read two other books by Colleen Hoover by now so I like her style enough to dare and go into another book by her. I have to say it stayed on my shelf for so long because I didn't know if I would really like it as much as it seemed but having listened to it now I can safely say I'll read, or well listen better yet, the sequel! The first thing I really want to get into are the characters, especially because they brought a deepness and surprise I never thought would happen. To really be honest, I had never expected that the characters or even the plot would have turned out as it did. First we have Sky, she seems like a normal teenager when we first get to know her. The only thing that's "wrong" with her is that she doesn't feel anything when there's a boy around. She just feels nothing at all and watches her stars on her ceiling. I guess that was something that intrigued me with this character from the start. This just made me think that the story would be about Sky having to find her first true love to make her feel things but soon enough we'll notice that a lot more things are going on with Sky. The book makes time to let us know what she dreams. These dreams aren't even just dreams they're memories from when she was little and still lived with her biological parents who put her up for adoption. At the first memory we get we have this feeling there's a lot more to the story than we know. That Sky isn't only this teenager that doesn't feel anything but that something else is going on. However Sky's personality isn't one that worries a lot. She's very confident and tends to just go with the flow. The only insecurity she has is when she's with boys and doesn't feel anything. That all changes when she meets the second main (male) character in the book, Holder, and she starts to feel so much more. He brings a lot more memories at night which readers will immediately absorb into their minds and hold onto. It's also from that moment on that we see Sky turn into another part of her. From the beginning we knew she wasn't very emotional, she's strong and independent and most of all she's confident. The moment she meets Holder and her memories come more frequently, she becomes fiercer and stubborn. Especially when she sees Holder or is talking with him. I really loved to see this stubbornness and fierce part in her although sometimes I think both Sky and Holder were being angry for nothing! However the more memories she gets and the more Holder makes her feel, the more insecure Sky is becoming and even though this seems like too big of a change, I really enjoyed seeing her turn into this Sky. It brought more softness to her personalty and didn't make her seem like she knew everything better and was so confident you couldn't get to her. It brought a deepness and even more understanding to this character and made the reader notice that something was going on with this character and it wasn't only not feeling anything for boys. Something in her past was haunting her and Holder is triggering things even she doesn't know anything about. It's also from that moment, where Sky becomes this more insecure and bomb of emotions that we start to question everything, starting with Holder. Holder's very alike Sky, he's very confident and sure of himself. Although he always, from the start, had this softness that Sky didn't have. He was the gentler person and always knew when things weren't going the way someone else wanted them to. He's always there for them, even though he's that confident. It's not as if his confidence becomes arrogant and I liked that a lot. In the beginning I thought Holder would be this cocky character in the book but Colleen Hoover really surprised me with making him this soft person. Readers will also really notice how fast he can lose his temper which was also a surprise when he's such a gentle person, however I loved that he could also be so fierce about things. But as I mentioned before, sometimes I thought both got angry over the smallest things and I just wanted them both to get over it a lot faster than they did. The thing between these two characters is that they both are so much different when they're together and it brings Sky this nostalgic feeling and Holder is keeping things which obviously makes this combination as exciting as dangerous for the readers because we don't know enough to make a verdict. However I think both characters were very easy to love, especially together. They brought the best from each other, ones they stopped being angry for nothing. The combination of Sky's big personality change and Holder's softness but strength really made this amazing bond between the two that's both swoon-worthy and suspicious for the readers. Even though the memories triggered by Holder make the plot make interesting turns, I think everyone who read the book will agree with me that we wouldn't be able to hate or resist Holder at all. The characters were really well written with more dept and softness than I had expected and also were a lot different than I had thought and that's all because of the influence of the plot. Why? Because the plot really turned my whole view on this book upside down. I thought this was going to be this classic romantic and predictable story well I was wrong all along. Yes there is something going on with Holder and how he's triggering all these memories of Sky's past but still the author keeps the reasons why and what has happened then so well hidden! It really leaves a lot of room for the reader to make wild guesses and maybe, just like me, be totally wrong about everything you thought this was about. I think it's a very interesting thing to see this story turn into something so much more deeper than I had expected and that's really all I can tell about it. What I first thought to be a typical romance about a girl finding a boy, them arguing, breaking up and getting back together, was totally not the case. Although this book also contains a high amount of sweet romance which really isn't anything that's going to bother the reader, this book will really start to fall apart. The plot line will start making sudden turns and reveal memories that open a way to memory lane. And boy, let me tell you that neither of the two characters had ever imagined that. This book really contains a lot of mystery and when you think you finally know what's going on and what is linking these two characters together, there's even more! I have to admit that the author, Colleen Hoover, has really surprised me in a good way. I had never thought that a book could be so different from what I had ever expected! And that's not even all because when you finally know every part of the truth and people are ready to confront it and open up for it something happens that will leave you so speechless. Damn I wish I could tell but I absolutely can't. I can however say that once again Colleen Hoover made a surprising move and really turned all of our worlds upside down for the 100th time in this book. The thing with the plot is that I think it really does a great job with influencing both the readers and the characters. The characters personalities and behavior will really vary on what's going to be revealed. Especially because there's a big part Sky doesn't even know anything about. These memories are all new to her as she doesn't even remember anything. This of course brings a lot more feelings and a lot more changes to her story and personality which I think was amazing to witness. How such a strong character can change so much due to the things she now learns, is also something that's a big part of reality. We also change a lot when things happen or when things we didn't know are revealed and I think that's a great asset to the book: the realistic part. To conclude I can say I was so scared to finally start this book, but heck I shouldn't have been! 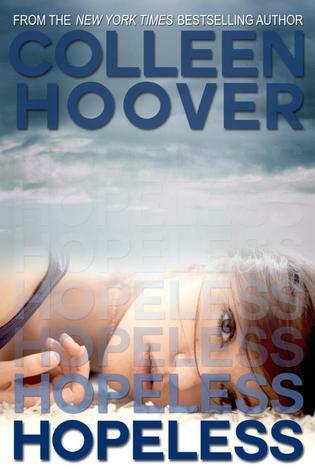 Once again Colleen Hoover really surprised me with her book by giving it an amazing twist. This book totally turned out different that I thought it would be and when I thought I finally knew how this was going to turn out, it surprised me with another twist! The characters were so well written and the book contained a deepness I hadn't thought to give it when I read the synopsis. So many elements of the past, present and secrets come together to create a plot line I absolutely enjoyed and couldn't stop listening to. If you're looking for a surprise read then this is absolutely your book. You'll be pulled into a world of a normal teenager who's world will be turned upside down because of secrets and her past. You'll be thrilled by all the twists and turns and fall in love with the character's amazing personalities and softness! A deep read that really made me feel so much and made me fall in love once more. "The only thing that matters to me with you are the forevers."